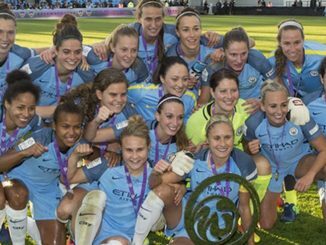 Manchester City made the quarter-finals of the FA WSL Continental Tyres Cup with a 2-0 win over Birmingham City, a result which also sent Everton into the last eight. 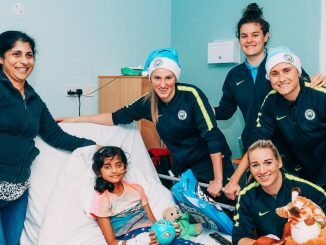 Man City went ahead on 18 minutes when Jane Ross’s through ball picked out Nikita Parris, whose lofted effort lifted went over Hannah Hampton and dropped into the net. It was 2-0 before the break, Esme Morgan delivering the cross and Claire Emslie finishing. Midway through the second half and Birmingham nearly got one back, as Paige Williams’ inswinging corner was turned onto the crossbar and over by Karen Bardsley. Lucy Quinn was also thwarted by Bardsley 6 minutes from time, when she made a diving stop. 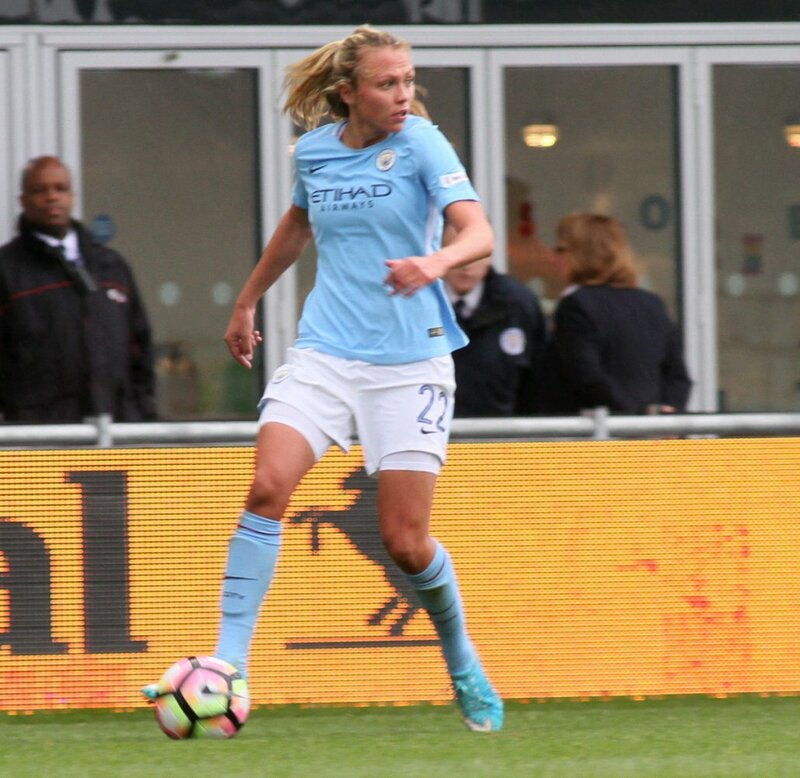 Hayley Ladd was denied by a last-ditch block and from the resulting corner, the visitors had the ball in the net but Kerys Harrop was penalised for a foul on Bardsley. The result means that Everton go through with Manchester City, while Birmingham miss out. 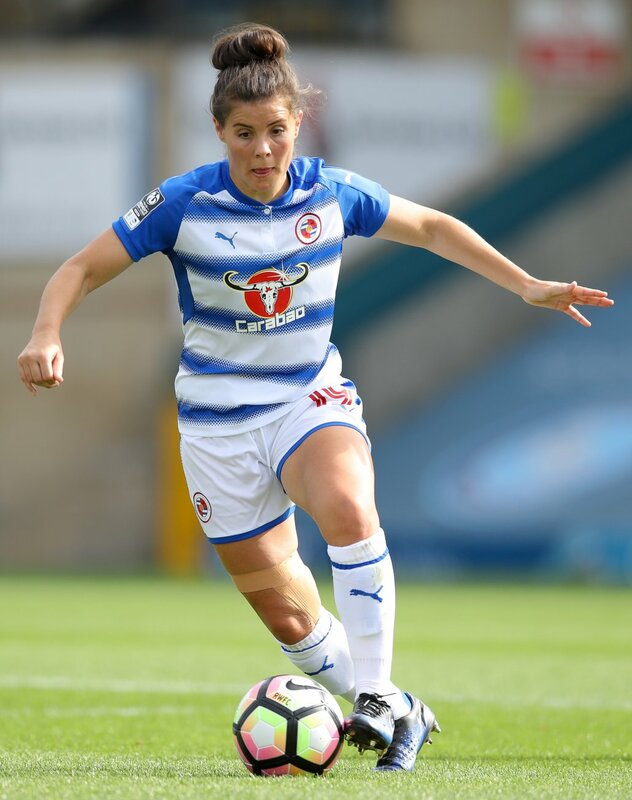 The Royals sealed top spot in Group 1 South with a 5-0 win over Millwall Lionesses and a 100% record, as Brooke Chaplen and Rachel Furness both hit braces. Chaplen’s 38th-minute close-range effort had the Royals up at the interval and Furness fired in the second minutes into the second half from a Remi Allen cross. Lauren Bruton pounced on a loose ball in the box and smashed it into the roof of the net to make it 3-0 before the hour mark. Six minutes later, Furness capped a fine move to make it 4-0 and late on Chaplen rounded off the scoring with another good team effort. Doncaster Rovers Belles ran out 5-1 winners at Oxford City to bank their first points from their penultimate match. as Rebecca Rayner and Christie Murray got a couple each. The Belles struck twice in the first 4 minutes, keeper Claire Skinner adjudged to have caught a Rayner header behind the goal-line and the Rayner netting from a Sam Tierney ball. Oxford were back in it on 11 minutes though, as Hannah Short pulled one back via a Dan Carlton cross from deep. But the Belles sealed it with two goals in a four-minute spell, Murray finding the bottom corner from Monique Watson’s layoff. on 69 minutes and then Jess Sigsworth curling the ball high into the net. With 4 minutes left, Murray got her second goal of the game, finding the top corner from 25 yards. London Bees not only got their first point from the spot but then doubled up by picking up a bonus point, winning the shoot-out after a 1-1 draw with Watford. The Hornets went ahead on half-time from a Rinsola Babajide’s header but the Bees levelled 8 minutes from the end, Chelsea Weston fouled in the box and Emma Beckett burying the penalty. When it came down to the shoot-out, Beckett made no mistake to put the Bees 5-4 up and then Meghan McKeag’s strike was saved superbly by Nicola Hobbs. Aston Villa avoided last place in their group at the expense of Durham, whom they edged by the best of five goals. It was the Wildcats in front on 21 minutes though, Nikki Gears crossing for Jordan Atkinson to force home at the far post. Villa replied when a deep cross was turned in by Natasha Baptiste at the far post and went ahead when Ebony Salmon netted at the second attempt, following up a spectacular save by Megan Borthwick. Three minute from time and the home side got a third goal, Borthwick denying Baptiste but Elizabeta Ejupi knocking in the loose ball. Just as well for Villa that they did extend their lead late on, because in the last minute Zoe Ness was quickest to react and get Durham’s second from close range.